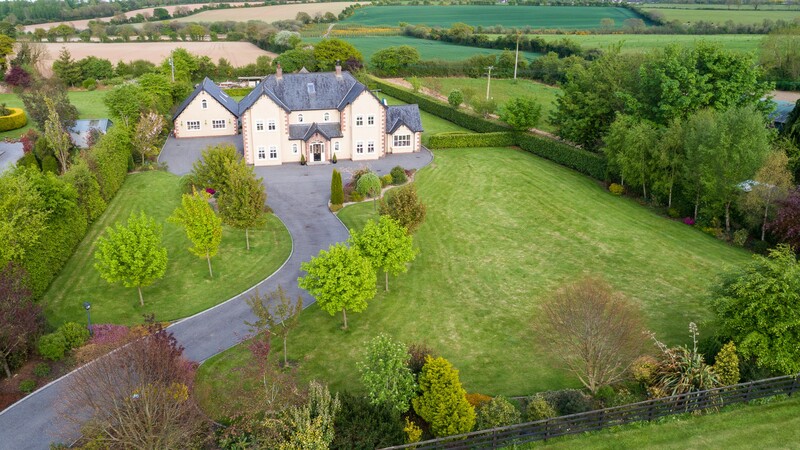 Country Mill House is a stunning and most handsome detached Tudor style property blessed with spacious accommodation and situated on a very fine, well established and landscaped garden c1.7 acre approx. 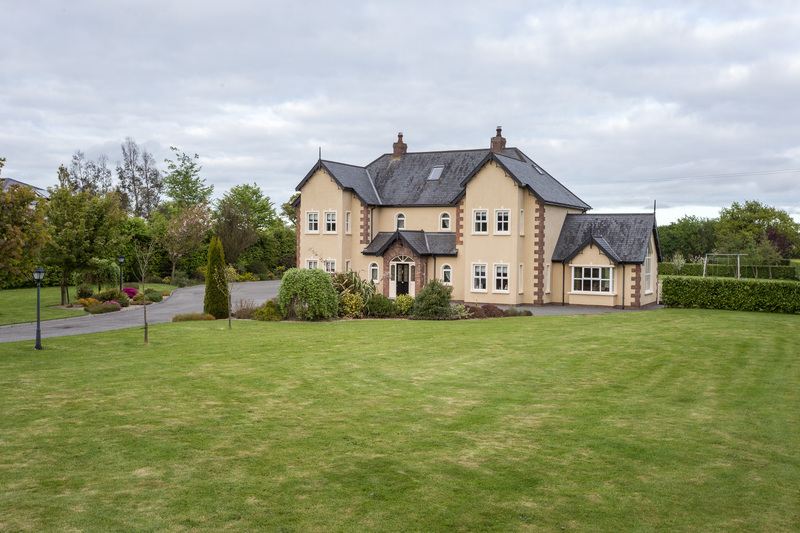 An outstanding property of finish, quality and character. 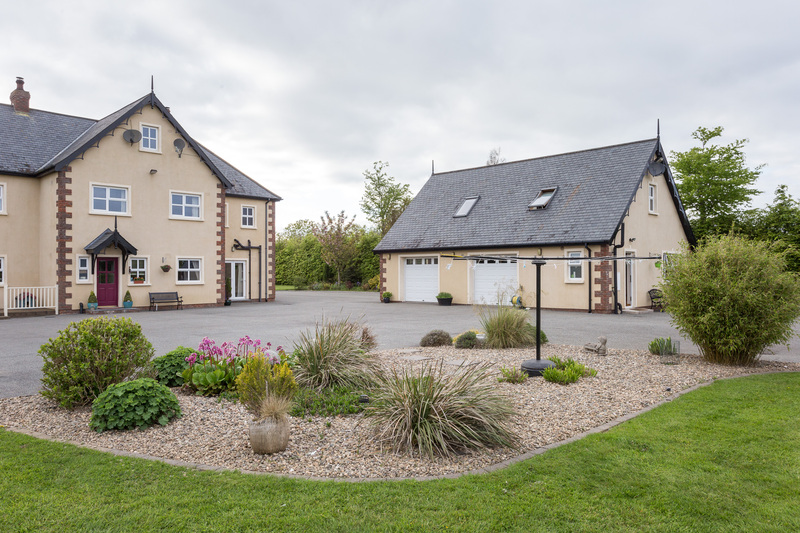 The unequalled presentation of this amazing home is exemplary and is testament to very attentive homeowners who have lovingly planned, designed, developed, self-build in 2003, decorated and maintained to a meticulous standard. What a rare fine ! 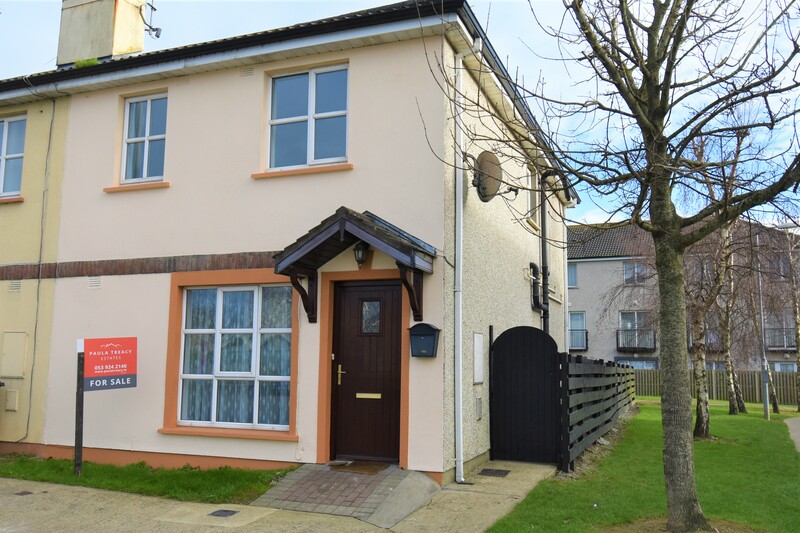 A Gorgeous Wexford home with 5 fine bedroom suites plus converted attic level, plus very ample sized garage, plus garden apartment separate to main house, plus much more! 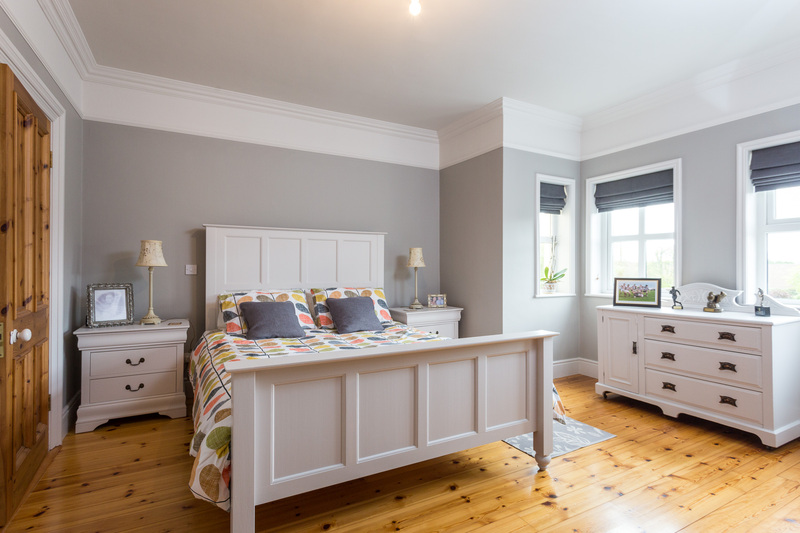 Finished to perfectionist standards throughout, this fine property is more than spacious boasting well proportioned, light filled rooms as well as high ceilings and a versatile and most flexible layout. 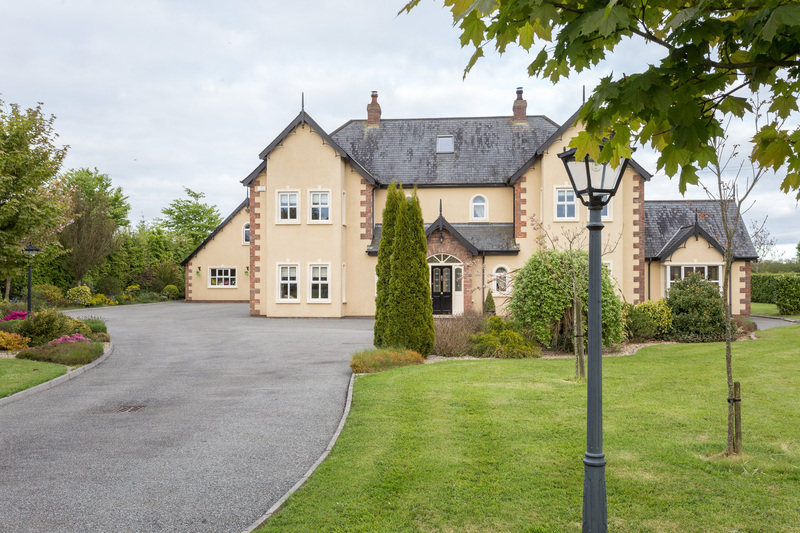 A home of many dreams, to any pertinent buyer! 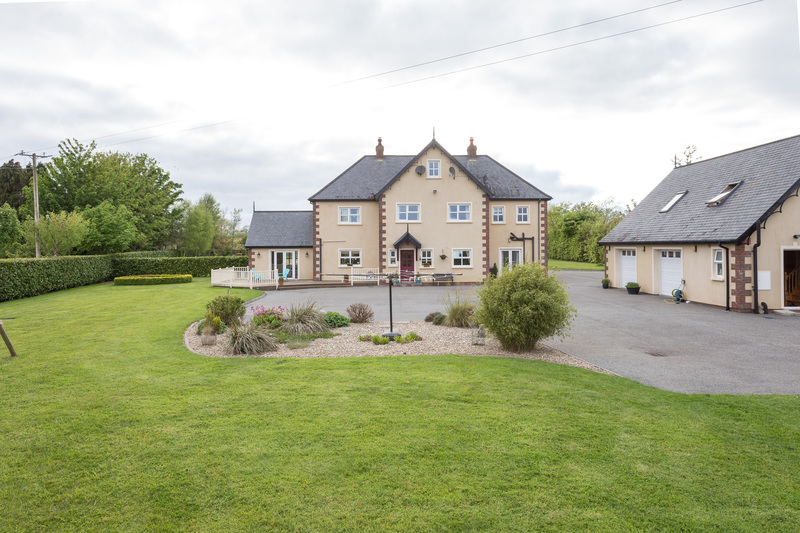 The property is located in the peaceful and well sought after area of Clohass only minutes’ drive from Enniscorthy town. 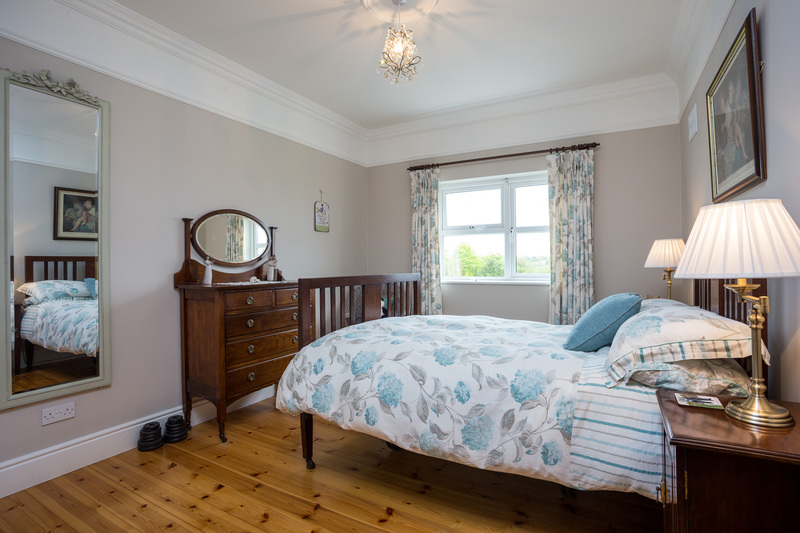 Only seconds drive from the main N30, minutes’ drive to Enniscorthy town, 1km from new motorway which will open the commute time to Dublin to 1 hr/1 hr 15 mins. 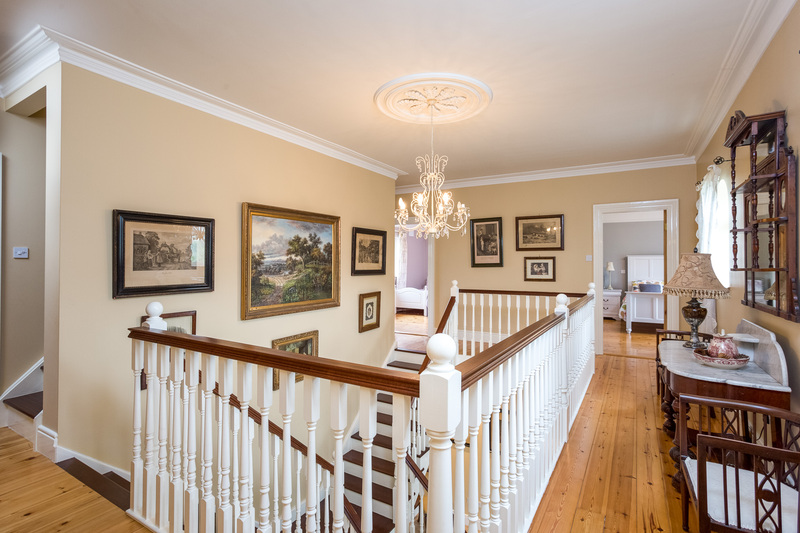 Ground floor – Upon walking through the front door one cannot but be hugely impressed by the space, light and attention to detail. 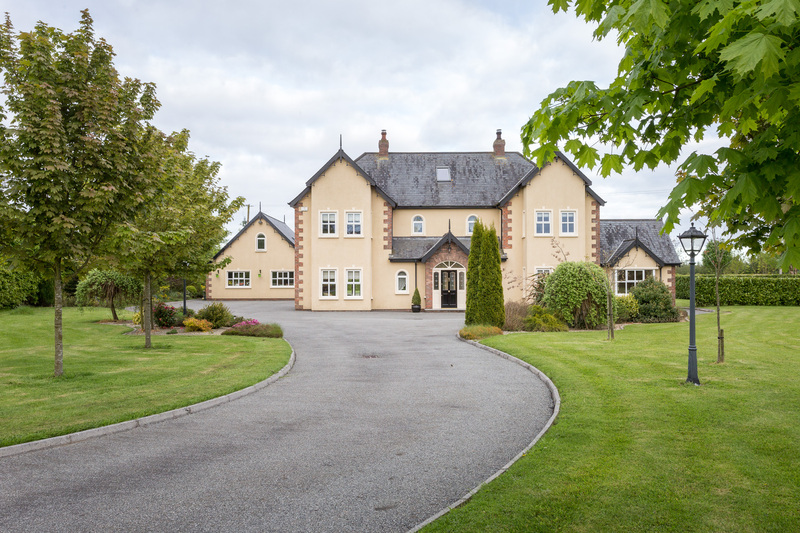 The presentation of this amazing property is akin to any feature in any glossy homes and gardens magazine! 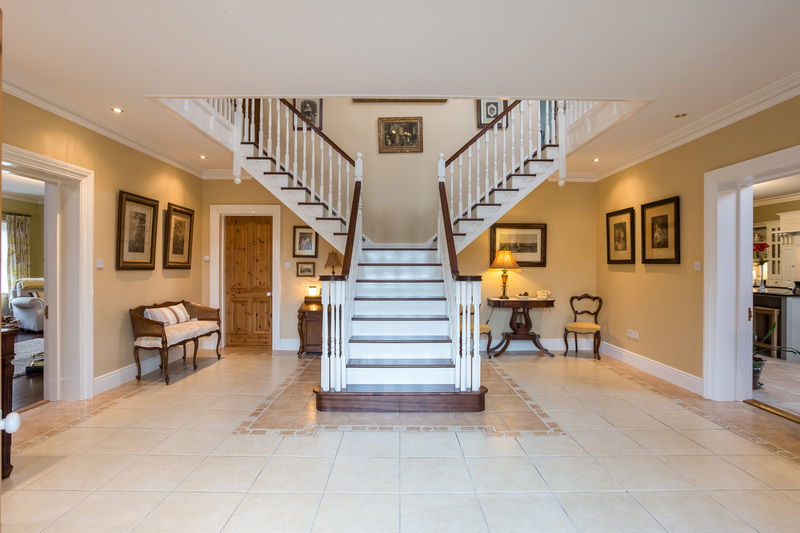 On entrance the porch hallway features marble tiles, opening to a most gracious, ample sized entrance hallway, with tiled floor, double height ceilings, a most fantastic handcrafted staircase, with a double return, overhanging landing. 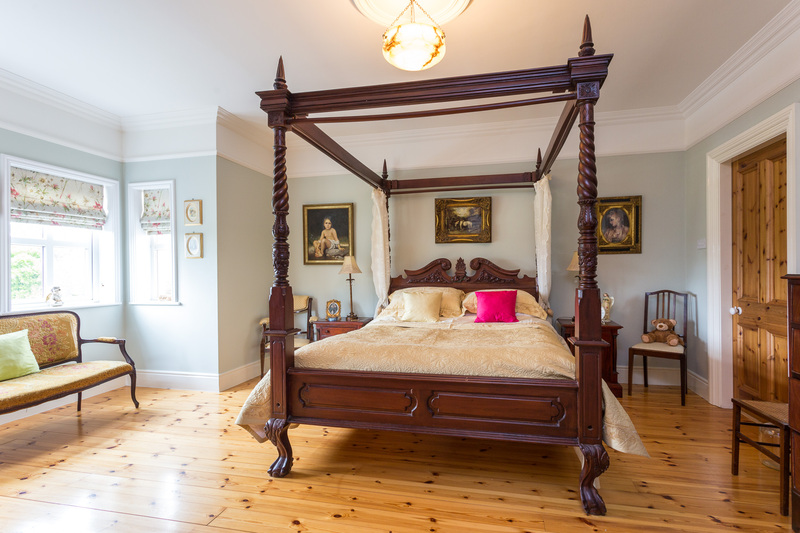 This beautiful room sets the tone for what is to follow. 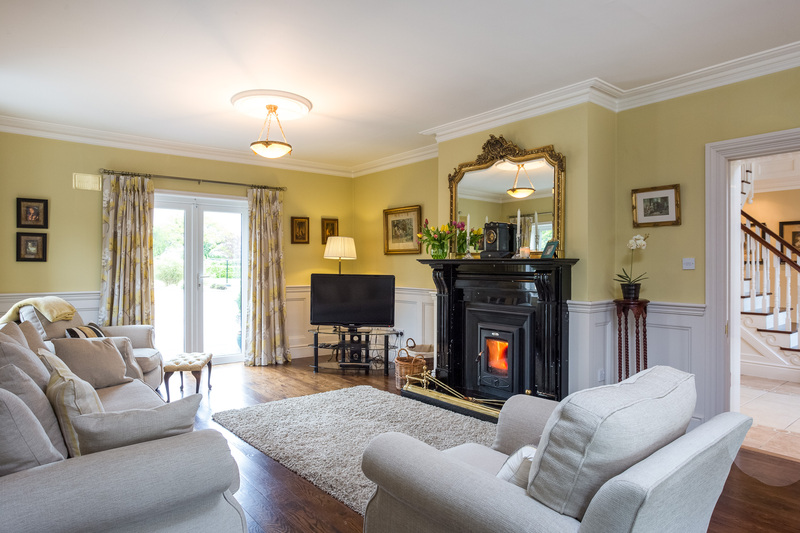 The ground floor comprises, formal reception room (sitting) truly impressive sized room with timber panelling, Waterford stove inset into Kilkenny marble surround fireplace, solid oak floor with darker stain and French door leading to garden. 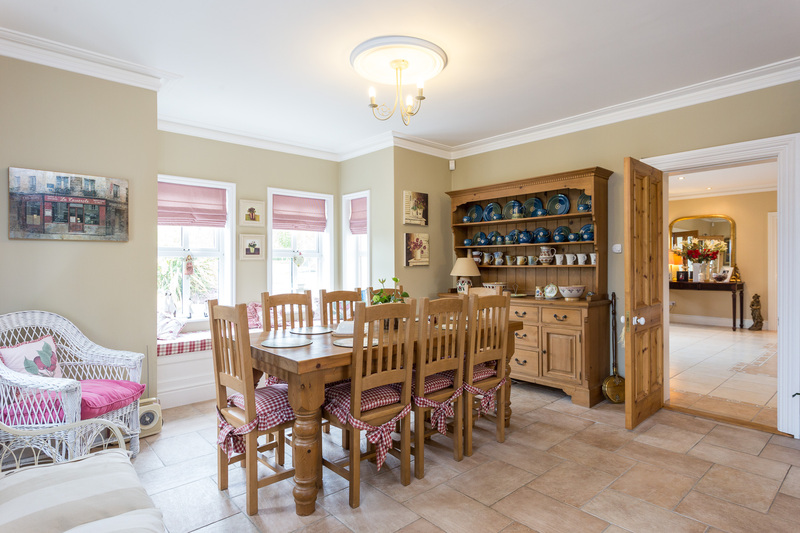 A warm inviting feel continues to the Kitchen/breakfast/dining room features an amazing solid oak kitchen professionally sprayed and painted a bespoke kitchen designed to include island unit, ample units, integrated appliances, granite worktop, solid fuel stove, with tiled floor and an excellent sized dining area. 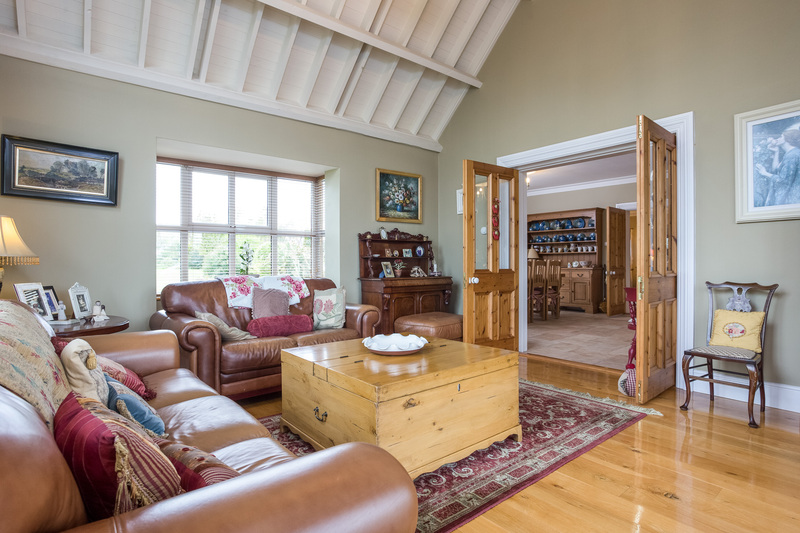 Double timber doors with glass inset lead to another fine reception room (sunroom) with its solid oak floor, excellent size and French door to extensive decked patio area and lush mature garden, this opens up the family/living area and leads to utility, wc and walk in hotpress. 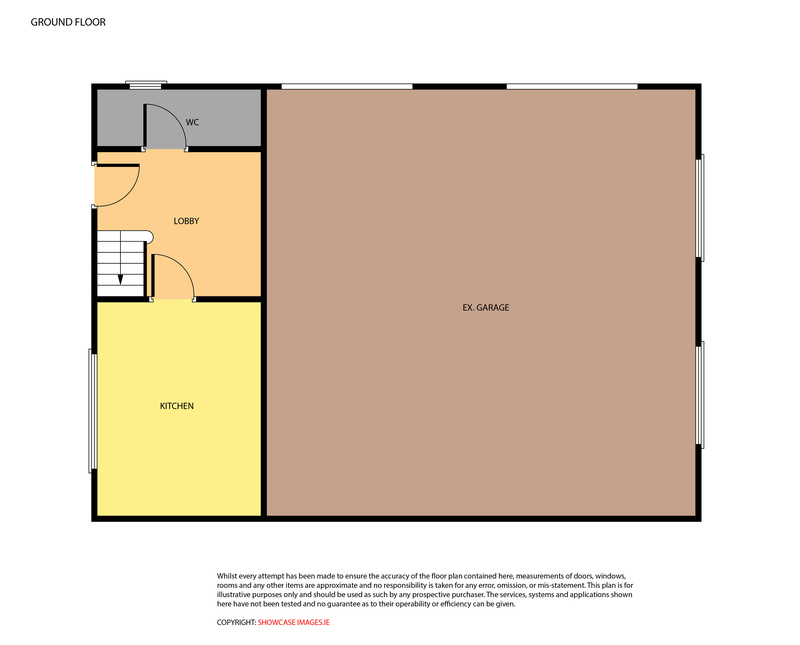 Study /office on ground floor would work equally well as playroom, gym area. 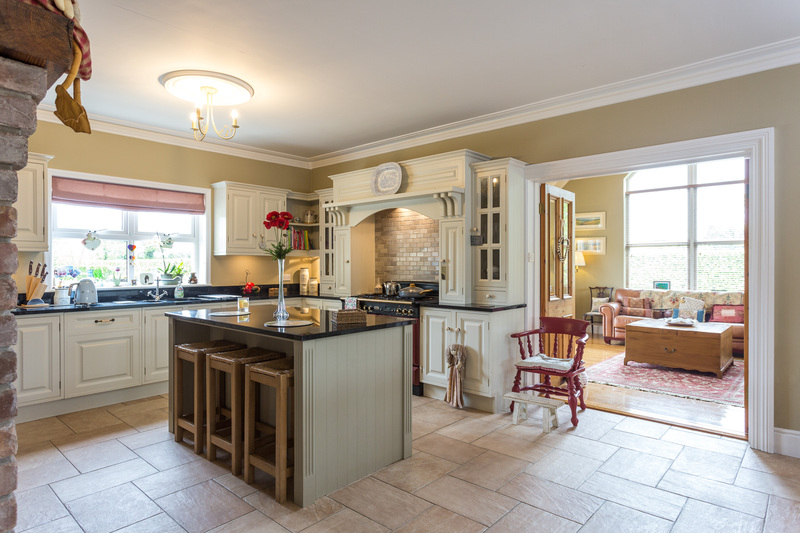 Internally, much care and attention has been given to creating a warm and inviting home with a great style and flair. 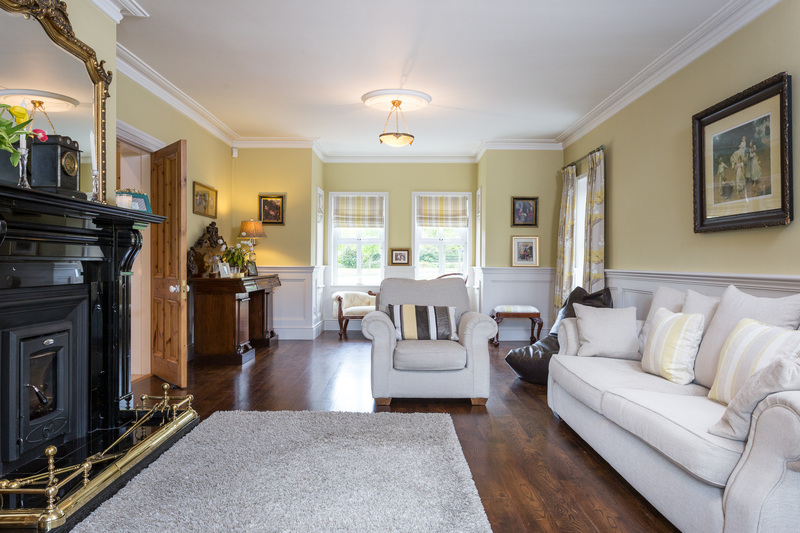 Throughout the property you will notice quality features solid oak flooring, beeswax timber internal doors, built in wardrobes, hi-spec tiling on floors and bathroom, handcrafted staircase, timber panelling, radiator covers, high ceilings, to name but a few ! 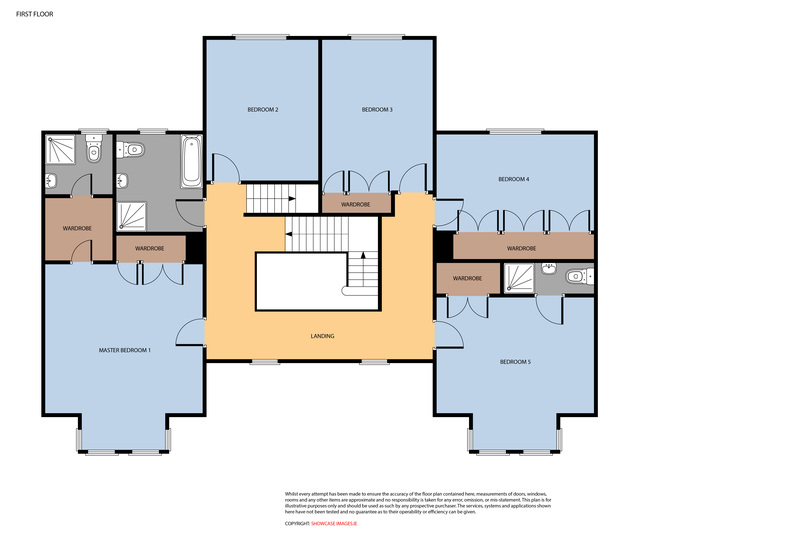 The first floor comprises : an amazing light filled landing which wraps around overlooking the ground floor, there are five bedrooms suites all of excellent dimensions with solid timber flooring. 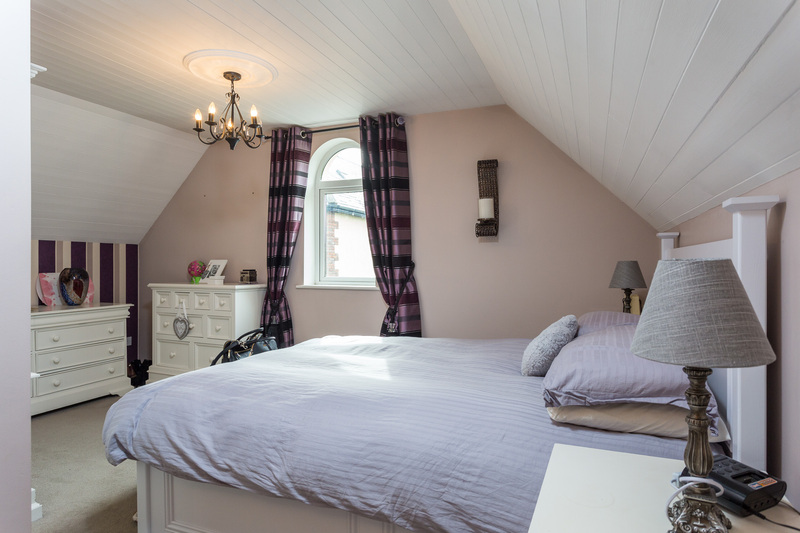 The master bedroom and guest bedroom with bay windows overlook the front garden, and feature ensuite bathrooms. 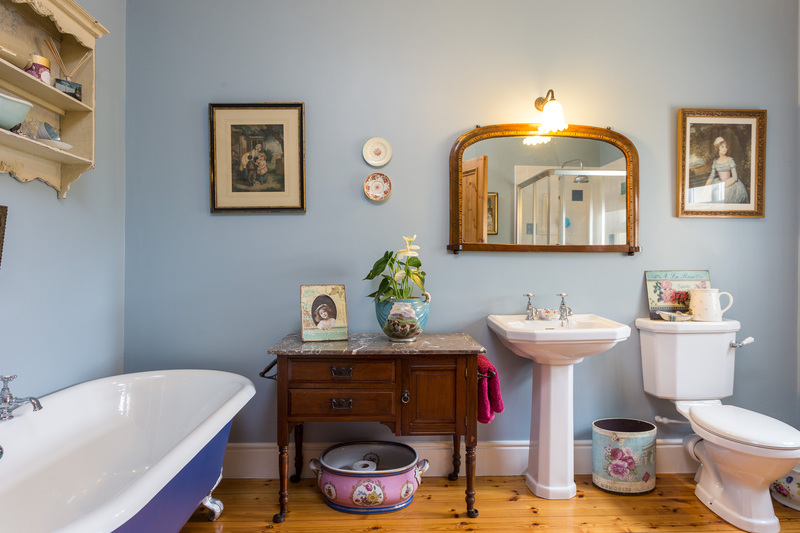 The remaining three bedrooms face the rear garden all with solid timber floors and are generously proportioned, the main bathroom features cast iron roll top bath and shower. 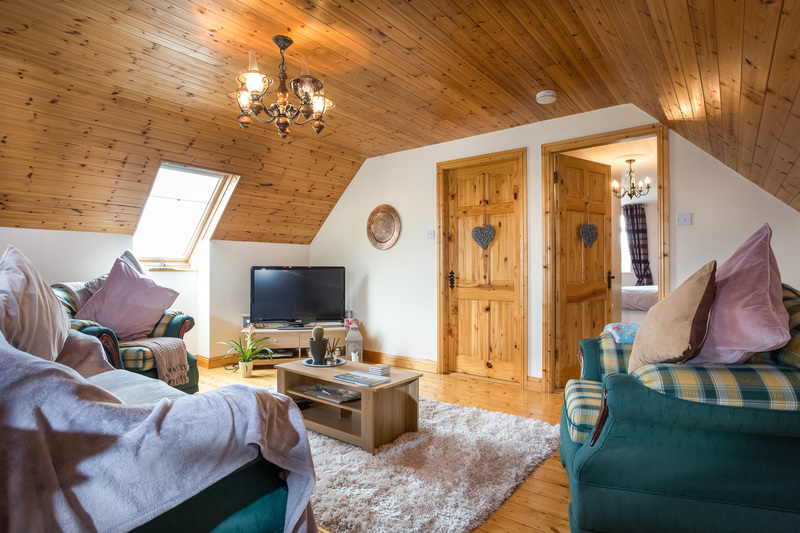 Proper timber staircase leads to converted attic level, a wonderful versatile space with two rooms, ideal office, storage, playroom…. 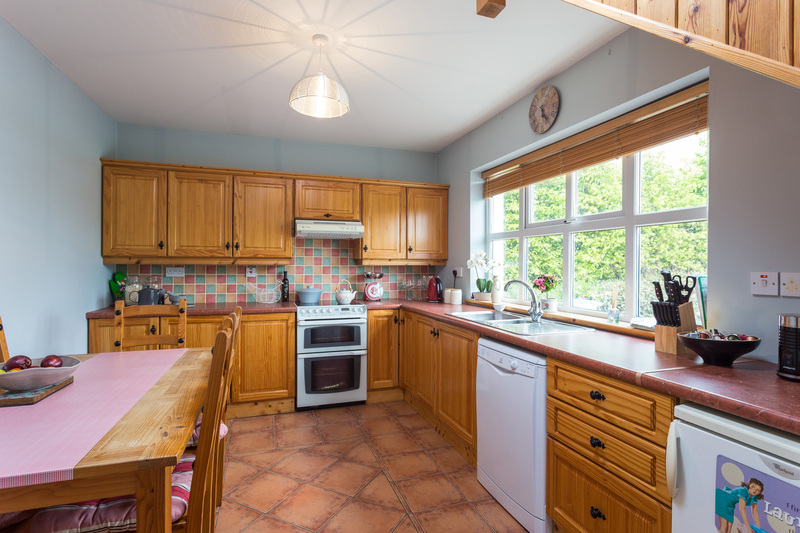 In addition to the main house and provides a fantastic second living area there is a large detached garage to rear with loft converted to completely habitable 2-bedroom guest apartment/granny flat/ office facility/work from home opportunity. Features electric storage heating and separate meter. 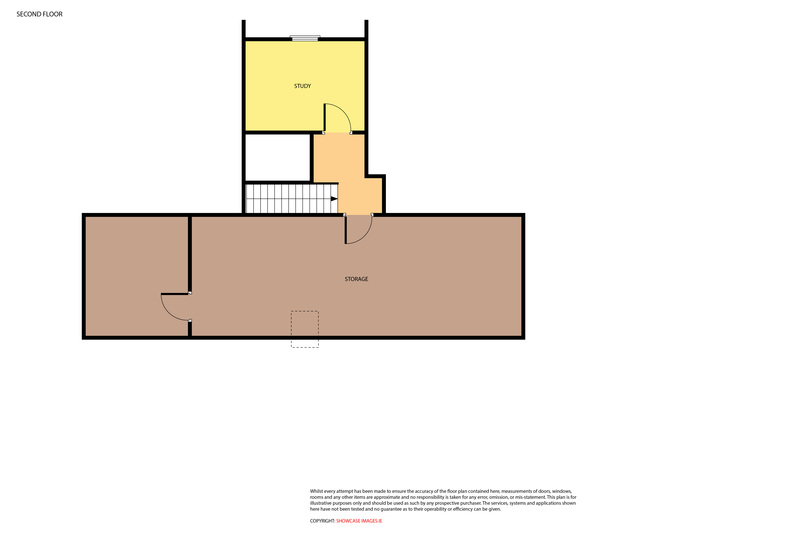 Full retention planning permission has been granted. 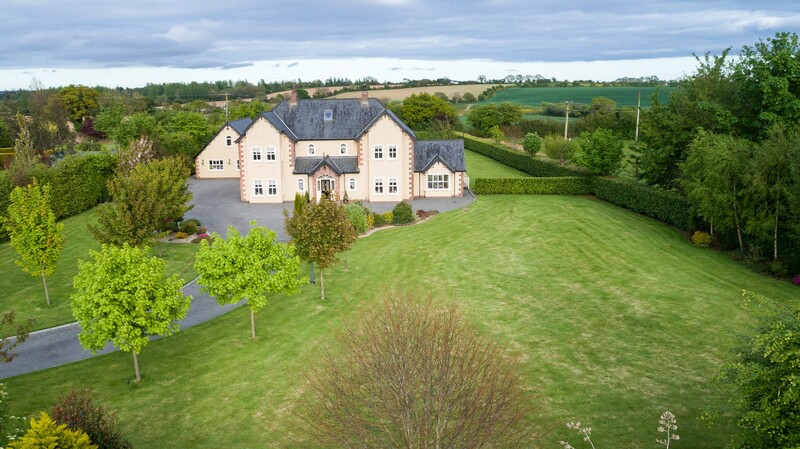 A sweeping tarmac driveway, winds through lush lawns to show off this magnificent property. 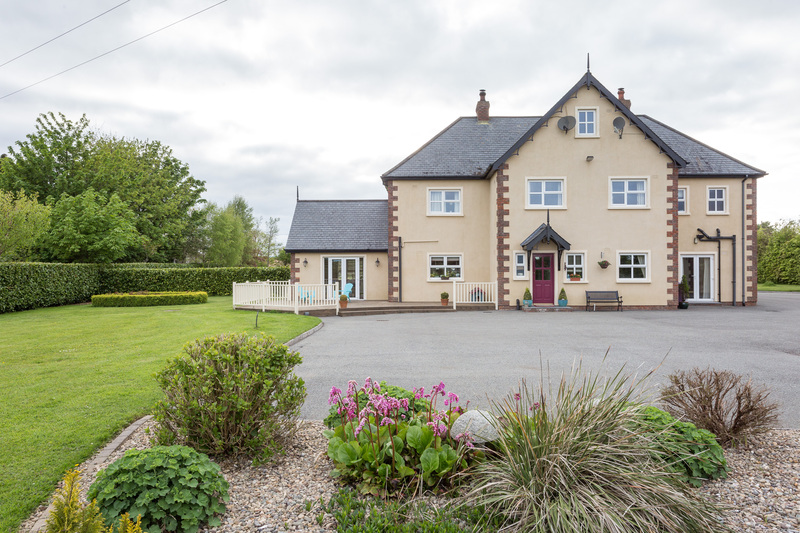 The property has a well-established mature garden featuring a riot of colour throughout the growing season. 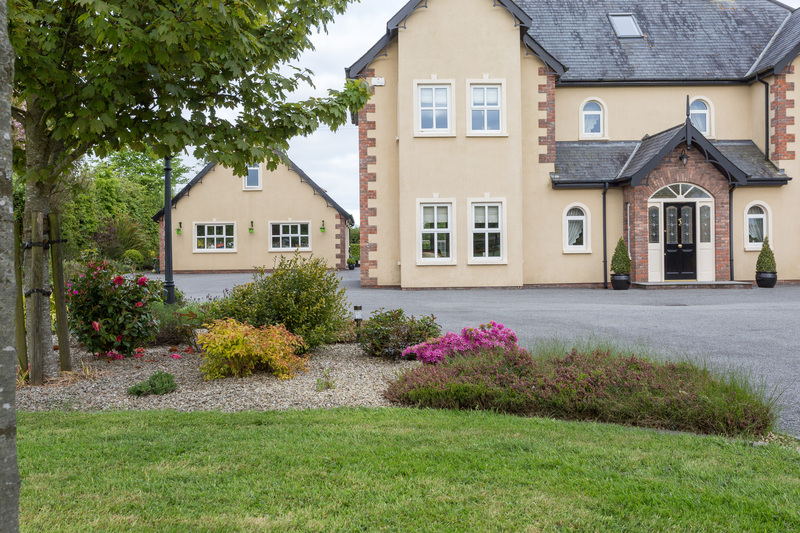 A vast garden surrounds the property, which can be accessed via the various doors and French doors. It is quite evident an avid gardener or gardeners have been hard at work to present this garden to its current state. 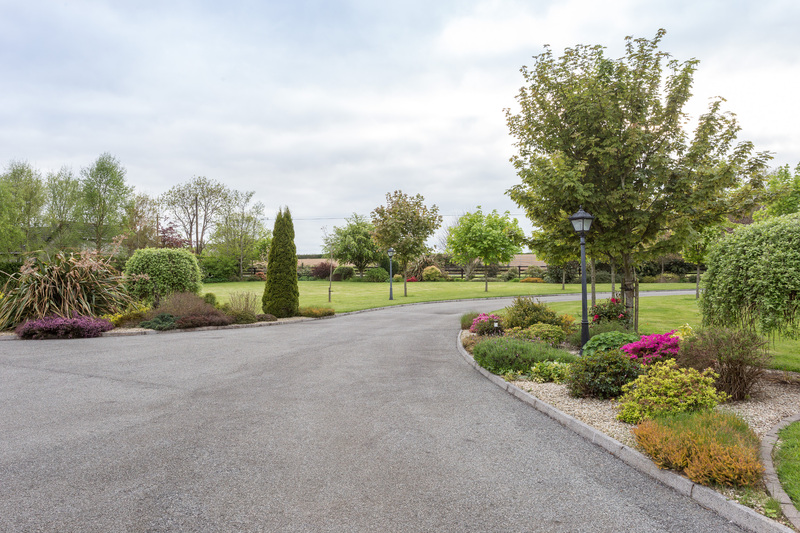 The tarmac driveway wraps around the property providing ample parking for many cars. Lawn to rear, completely well abounded by trees and shrubs. 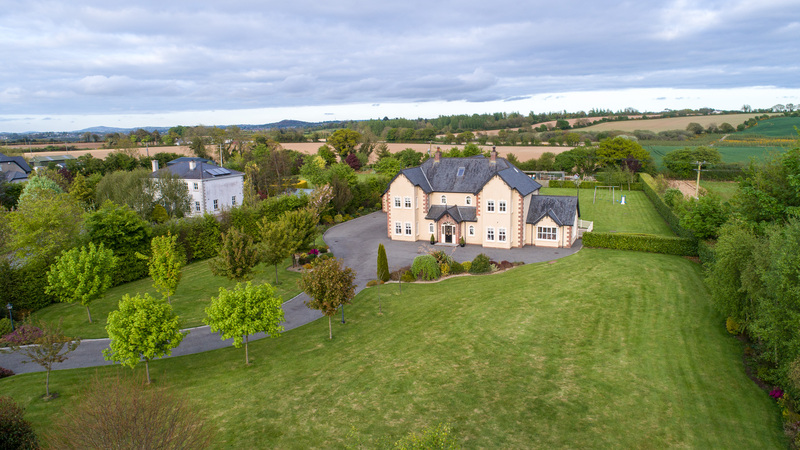 Within extremely easy access to N30 Enniscorthy/New Ross/Waterford Road, new motorway currently under construction within 2km of this property and will make access to Dublin most convenient. Leave Enniscorthy and proceed along N30 (Waterford road) proceed approx. 1.5 km, turn left sign for Clohass, proceed 500 meters property on left hand side. 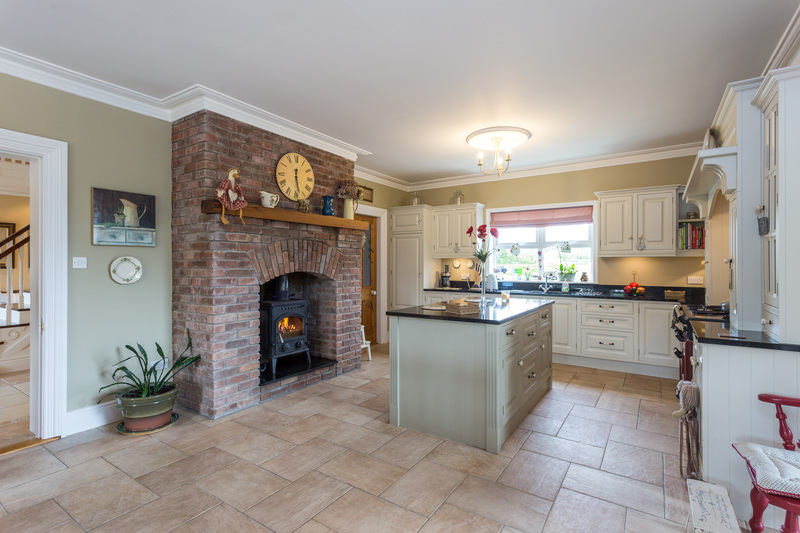 Solid timber floor dark oak stained, French door to garden, timber panelling, stanley waterford stove inset into kilkenny marble surround, ceiling coving. 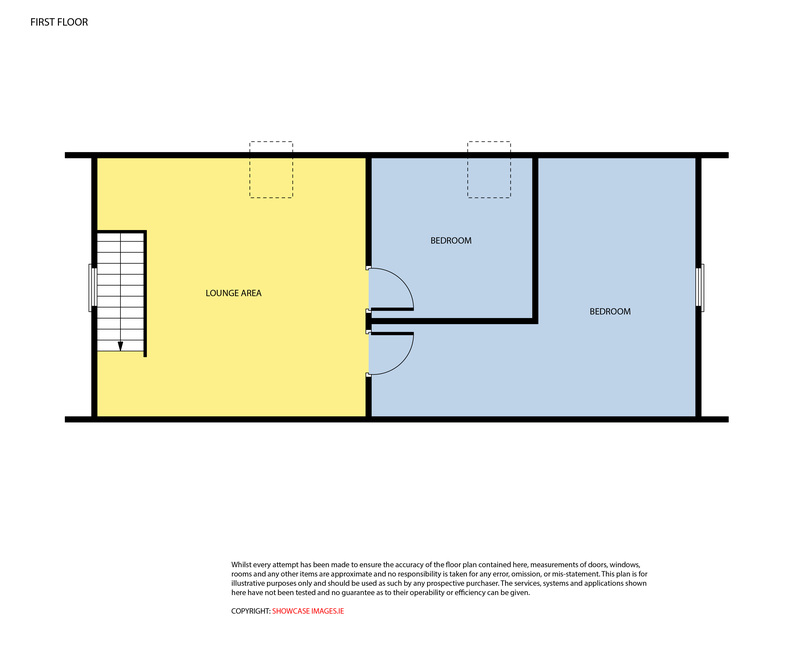 WC , WHB , Shower cubicle part tiled , power shower , timber floor , cast iron roll top bath. 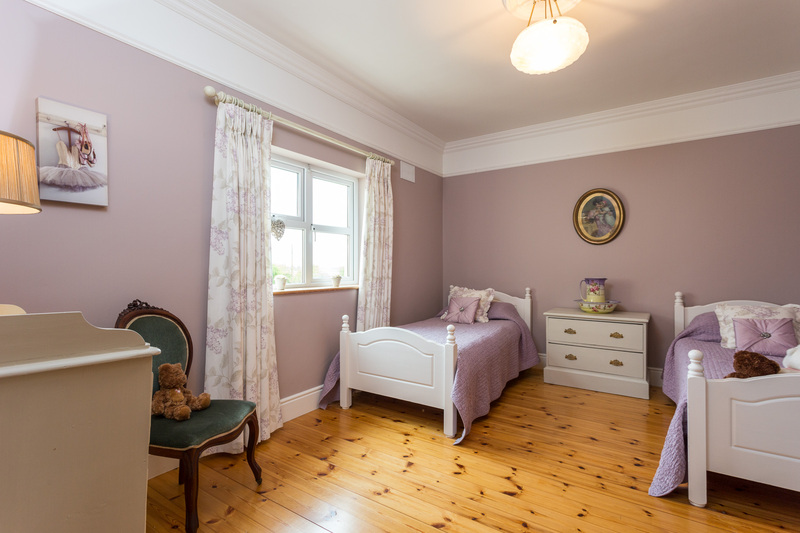 Timber floor, Walk in Wardrobe. WC, WHB, shower cubicle, power shower, part tiled. 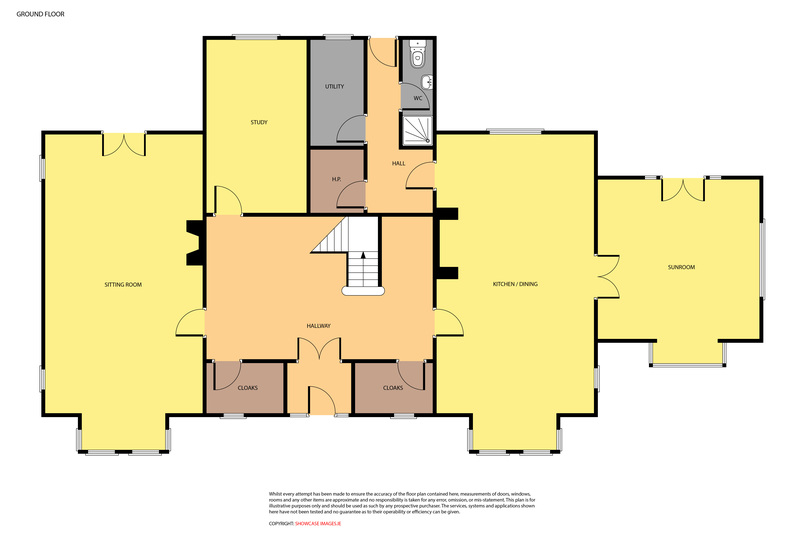 1 room, Office, Timber floor – Large room, storage, timber floors. WC, WHB, shower cubicle, triton electric shower, part tiled.